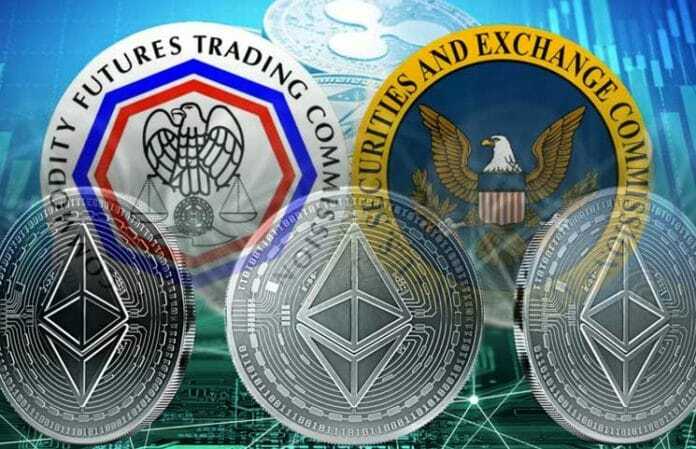 A current statement made by the chairman of the SEC (Securities and Exchange Commission), Jay Clayton, has many in the Cryptocurrency space asking if the commission will be changing its stance on ether which a member of the commission had previously opined that it should not be deemed as security in regulations. Clayton, who has been at the helm of the commission from last year, in his notice made in the commission’s website stated that although employees of the SEC had the authorization to offer guidance on the application of regulations to certain circumstances the guidance provided did not have any enforceable legal rights and were therefore non-binding. He stated through his communication with the directors of various departments within the SEC it was agreed that the employees would be made aware of this distinction adding that the officials will be reviewing previous statements made by the staff and decide on whether they would be modified or rescinded. He said that generally many of the divisions and offices under the SEC have been in the process of reviewing prior staff statements, and will continue to do so, to decide on whether the statements and documents will be rescinded, modified or supplemented in line with the market and current developments. Among these divisions will be the Division of Investment Management, Division of Corporation Finance and the Division of Trading and Markets. The most obvious reason to the chairman’s pronouncements seems to be the decision to rescind the guidance originally issued by staff back in 2004 taken by the Division of Investment Management. The guidance was rescinded through the official withdrawal of letters handed to two firms. The same day that the withdrawal was made is the same day that the chairman of the SEC made these remarks. However, many within the Crypto space have questioned the wider implications of the remarks made by Clayton, including the implications on ether which currently stands as the second largest digital token in the market and which an official stated was not currently viewed as a security under the law. William Hinman, the commission’s director of Corporation Finance three months ago stated that ether in its current operation is highly decentralized which causes the commission to not see any value in its regulation as a security. This was said during the Yahoo Finance All Markets Summit. Although Clayton had on several other occasions stated that Bitcoin did not have the indications of a security, he is the first in the commission to make similar statements concerning Ether. As a result, Hinman’s statements have been regarded as being monumental not only for Ethereum but also for the crypto space as a whole especially after the suggestion that any assets which have been distributed via presale had the chance of being classified as more than just a security. Hinman’s guidance, however, does not represent the official position of the SEC and cannot, therefore, be enforced. It could also be rescinded.